As the calendar year comes to an end, many of us are about to leave for a Christmas or New Year’s Holiday. For some, like me, it means heading off to the airport for a flight. Although many of us can think of some downsides of air travel like security lines and uncomfortable seats; there are upsides, too. One is the ability to accumulate frequent flyer points and miles. Most of us acquire points when we fly for business or pleasure, but many of us do not redeem those points for awards. Sometimes they accumulate for years just sitting in our account, waiting to be used. Or maybe you have accrued some points, but not quite enough for a free ticket? Or your points are about to expire due to lack of account use? 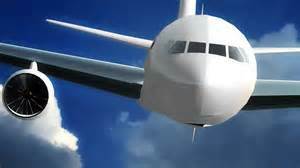 Did you know some frequent flyer programs allow you to make gifts to deserving charities by converting your earned miles and points into cash donations? What a great way to use small amounts of miles! 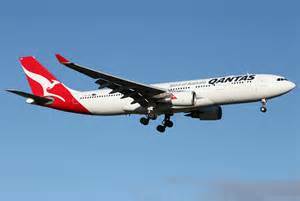 Qantas lets you choose from six (6) non-profit organisations, including The Clontarf Foundation, UNICEF, and Make-A-wish Australia. For each organisation, you can choose as few as 2,900 points minimum donation with increasing amounts for larger gifts. Virgin Australia allows you to choose among eighteen (18) non-profits to make your donation, including AIME, Black Dog Institute, Camp Quality, Kids Helpline, Oaktree Foundation, and Youth Off the Streets. There are two gift levels offered for each charity, with minimum amounts starting at 4,500 points. I applaud these two airlines for giving their customers an option to use their points in a charitable way – especially if these points were never going to be used for other purposes. Even if you only fly a few times a year, join the airline program of your choice and donate the all the points you earn to help a worthy cause. If you are a business traveller, it is likely you have a few extra points to donate as you finish up for the year. So as we take off for our holidays, lets consider ‘cashing in’ those points for a donation. We can then sit back, relax and know we have made a difference.